Addict-A-Ball Maze 2 is a perfect mix of simplicity and frustratingly addictive challenges. Your objective: Guide the ball to the centre of the maze. Sounds simple? Try again! You might not think that Addictaball, a simple low tech ball through maze game would be able to hold your attention for very long, but this thing is frustratingly addictive and sometimes annoying 3D puzzle game will keep you playing for hours until you become the supreme master of the sphere! Challenge your friends to see if they can do it without getting so frustrated they throw it out of the window or bounce it off someone else’s head. You can also set a timer and see how far you go before the time runs out. To tame the Addict-a-Ball you must guide your ball through a huge array of challenges, over brightly coloured platforms, through arches, down holes, and vertical roll through’s. You’ll twist and turn the sphere through 360 degree’s in order to reach your goal. 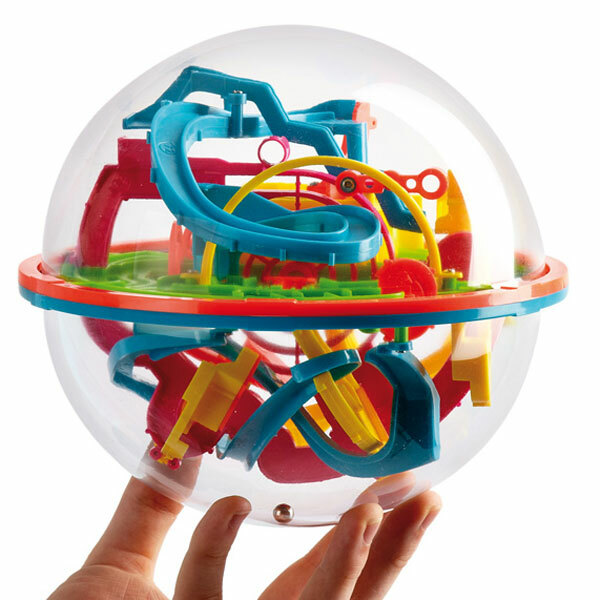 The small size Addictaball has 100 numbered sections to conquer! Toyrific Classic Bingo family game with 72 cards, 90 numbers, 2+ players.